So Daredevil got possessed by a demon and used a ninja army to mess up Hell’s Kitchen. Remember that? 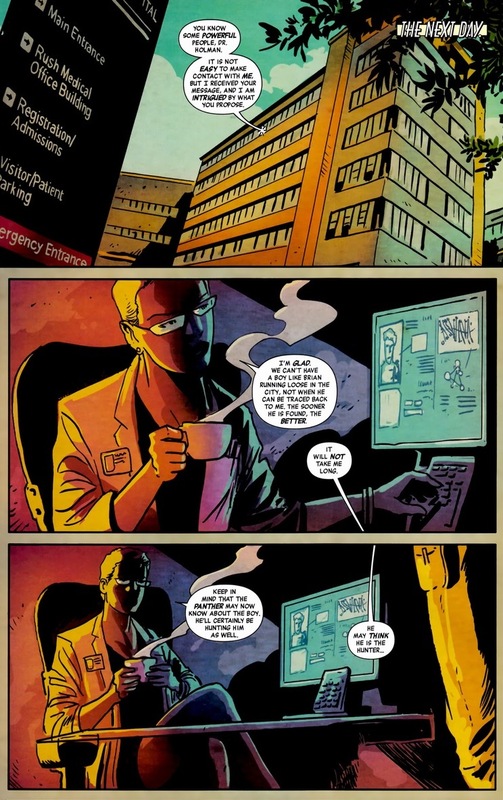 After the exorcism and Daredevil’s disappearance (though I’ll shamelessly link you to where he went), the New York City borough remained undefended from Russian mobsters, creepy genetic scientists, and all those other unruly immoral types. 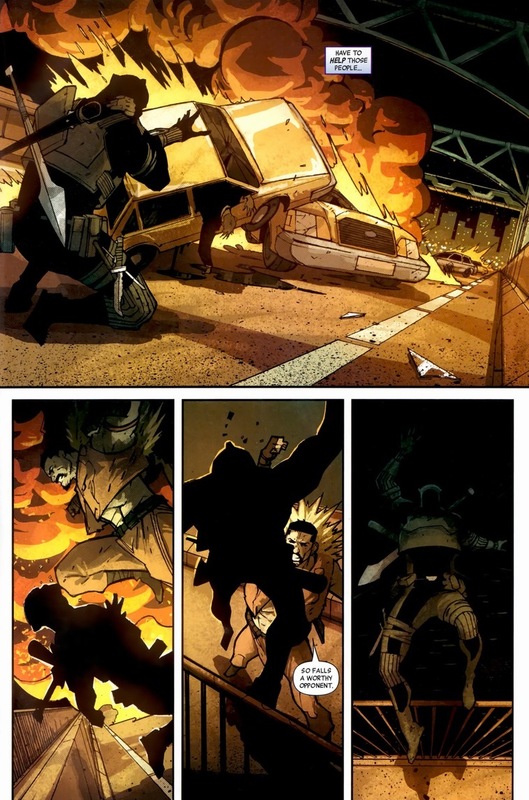 Luckily, T’Challa, former king of Wakanda and currently lacking superpowers, figures he could step up to the role. So Black Panther bought a diner, started wearing glasses (to disguise his thick Wakandan accent, I guess? 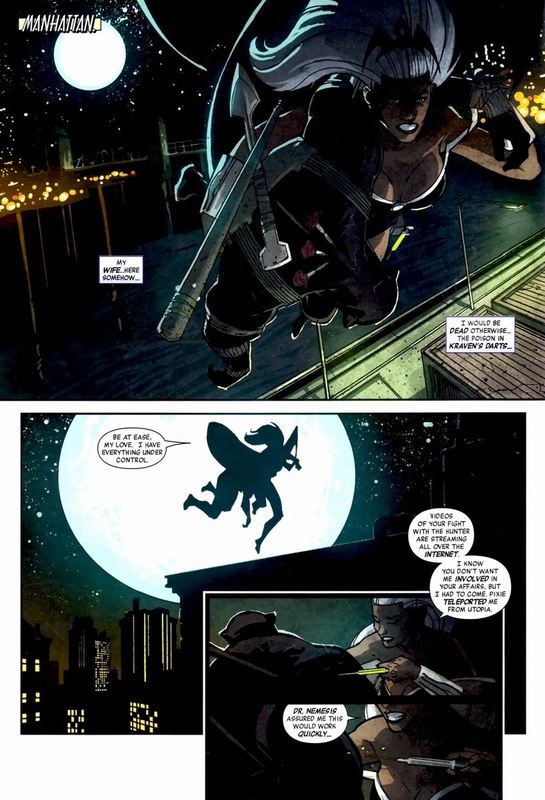 ), and patrolled the streets at night as Black Panther. But as we know from all superhero stories, when our hero pushes hard enough, the bad guys push back with some extra muscle of their own. 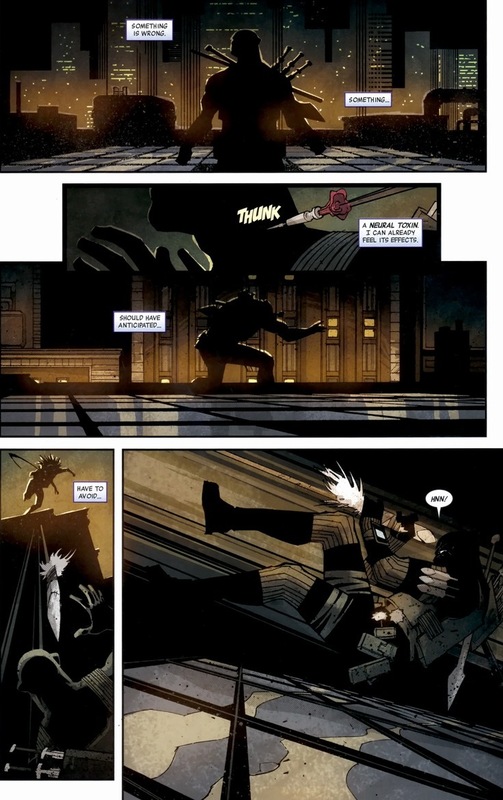 Especially when a young child’s life is at stake, like in Black Panther: The Man Without Fear #518-520, written by David Liss and drawn by Francesco Francavilla & Jefte Palo. Witness the post-Grim Hunt Kraven. 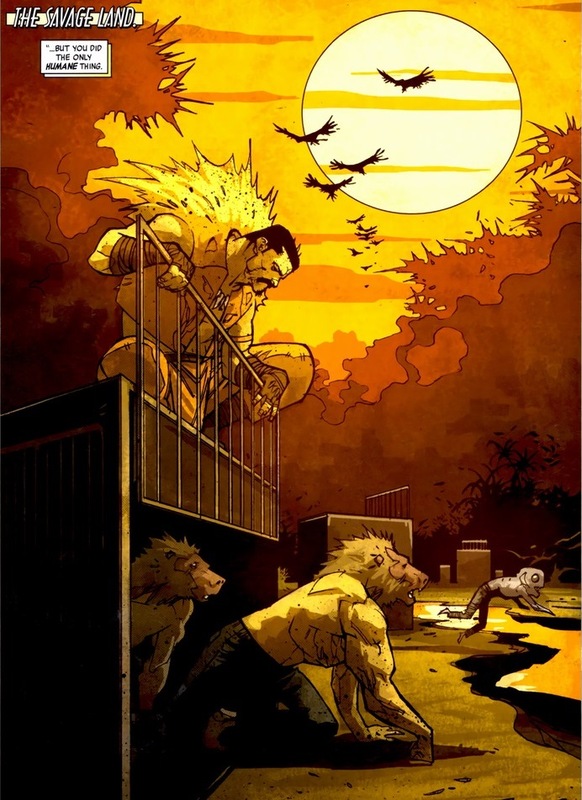 He famously died in that wildly famous arc “Kraven’s Last Hunt,” but a few years ago, his family resurrected him. 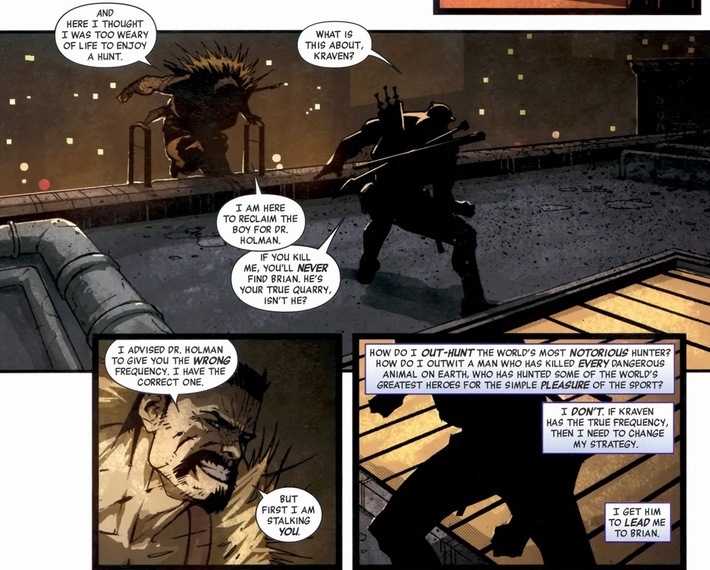 Familial love has never been Kraven’s strong point and he immediately resented them. 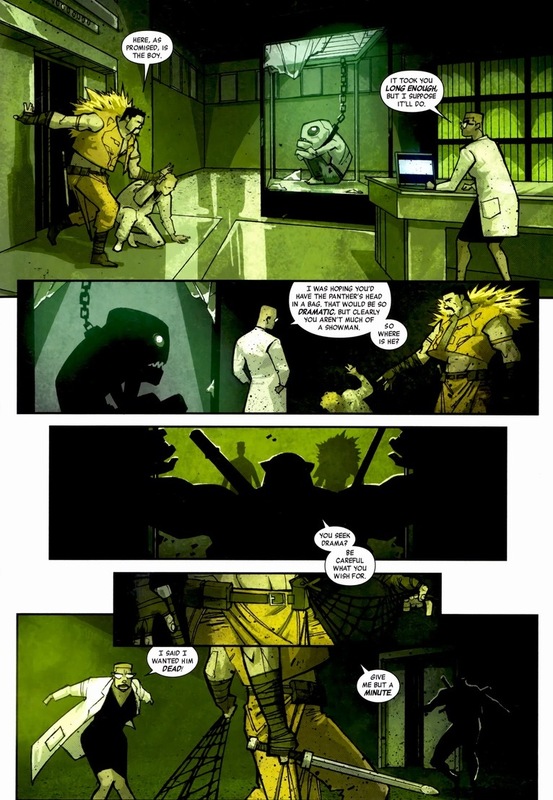 Turns out, he liked being dead and since they accidentally used tainted clone blood instead of pure Peter Parker blood in their black magic voodoo, Kraven’s cursed and nothing can kill him. Immortality and whatnot. 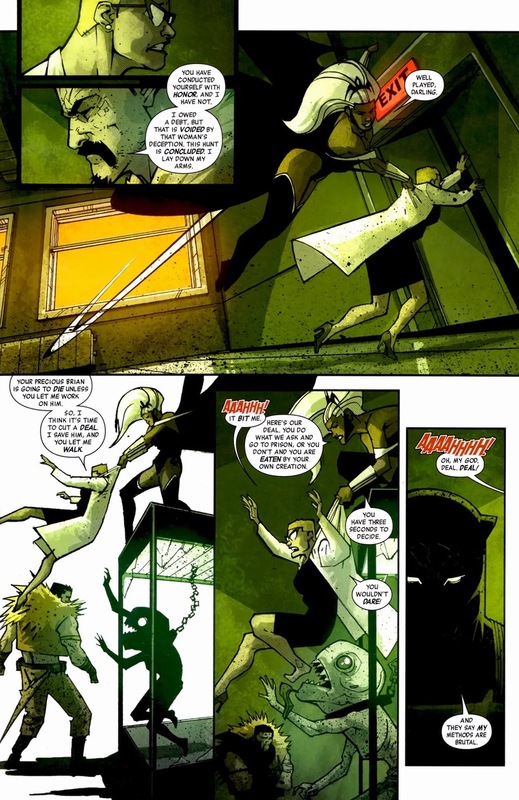 But just because Black Panther can totally die and only has the strength and skill of a master martial artist, a celebrated tactical and scientific genius, and the support of numerous super powerful allies. Plus, a Punisher-sized weapon arsenal. 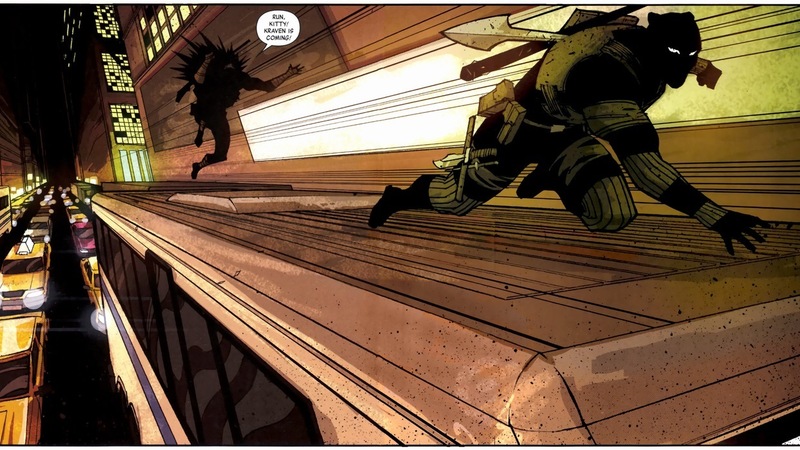 Unfortunately, and for far more dramatic effect, Kraven starts their battle off with an ambush — enough to put Black Panther at a big disadvantage. That’s what makes fights thrilling, after all. 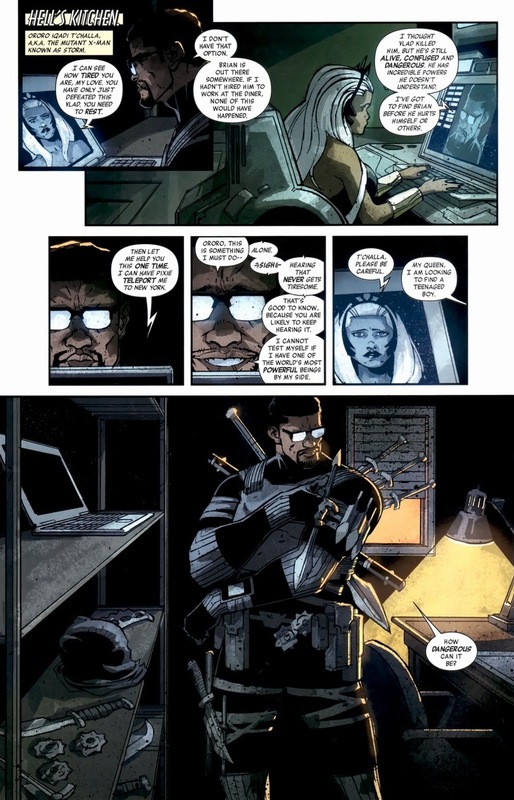 Their battle takes place almost entirely through two issues and covers pretty much all of Hell’s Kitchen. I can’t show you all of it, and I even have to skip some of the cooler scenes, but you’ll get the gist of the neat stuff. That’s right, if falling through one glass ceiling worked so well, why not do it again? 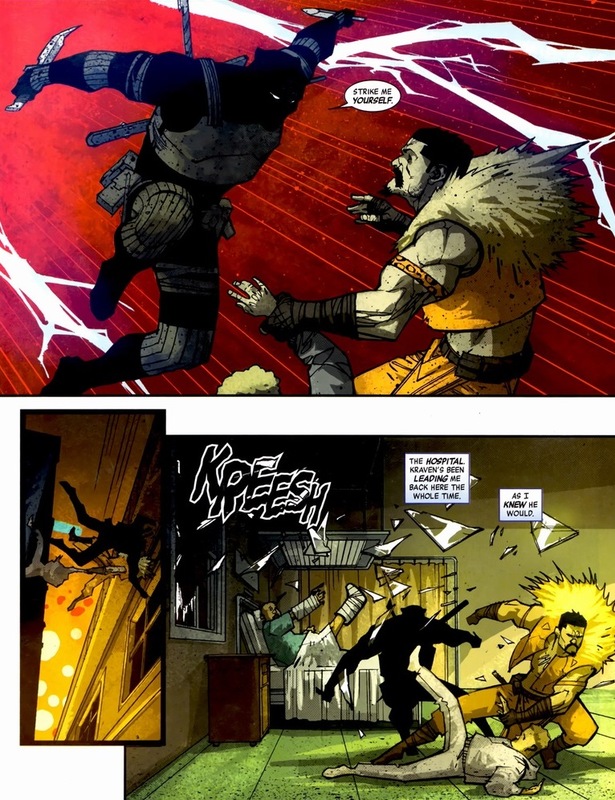 Kraven can’t be killed by the fall anyway. 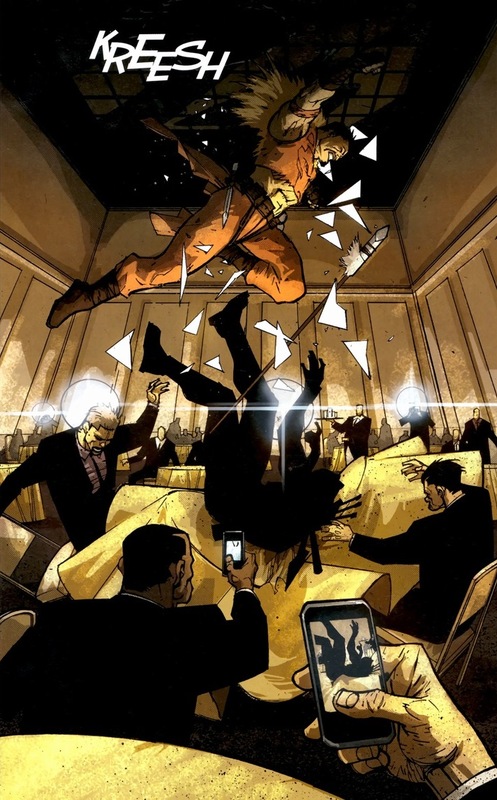 Oh, and that wrecking ball he threw a few panels up? I have no idea where that came from. I imagine Kraven carries it with him. You never know when you need an emergency wrecking ball. 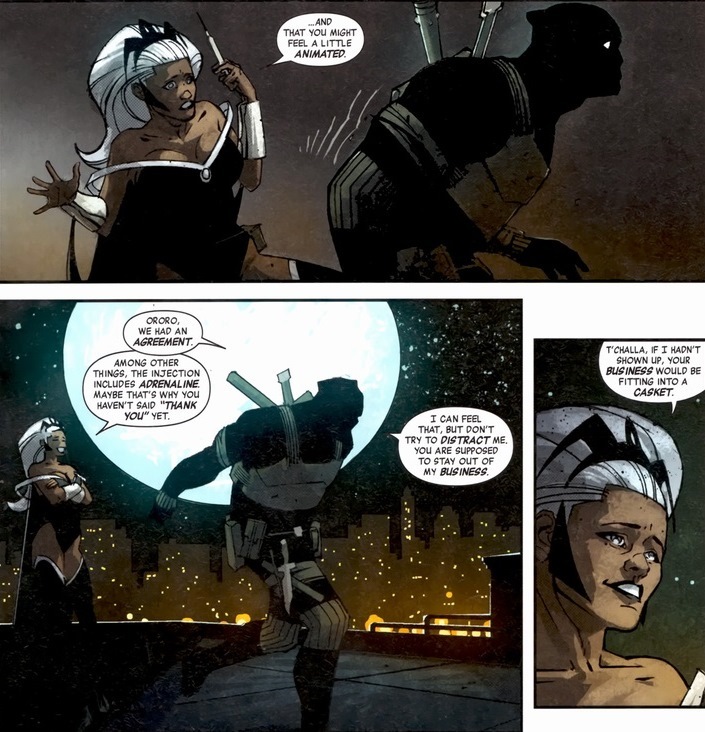 At this time, Black Panther and Storm lived in marital bliss. Kind of. They’re no longer married, victims of that dreaded status quo. 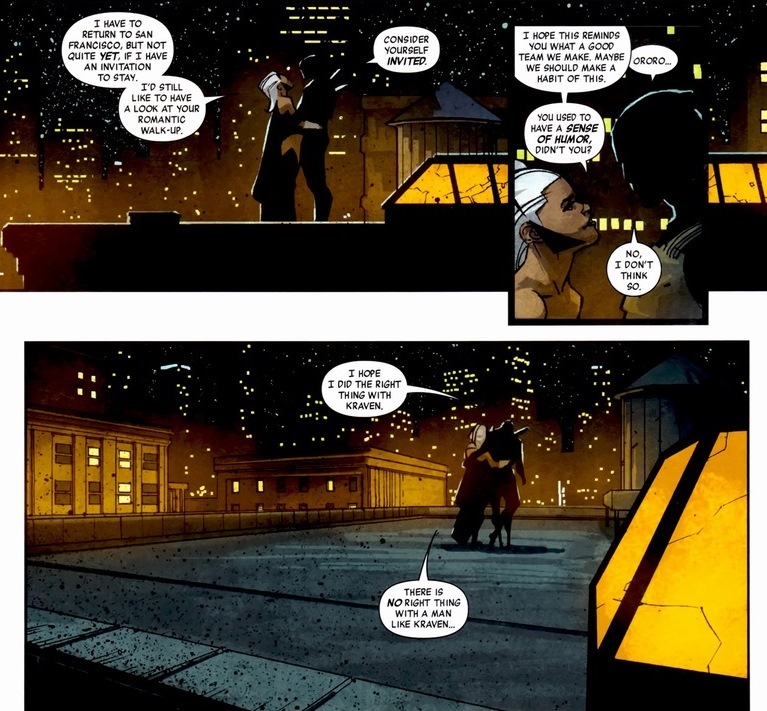 Storm has moved on to Wolverine while Black Panther remains dateless, so he’s definitely doing better than she is. 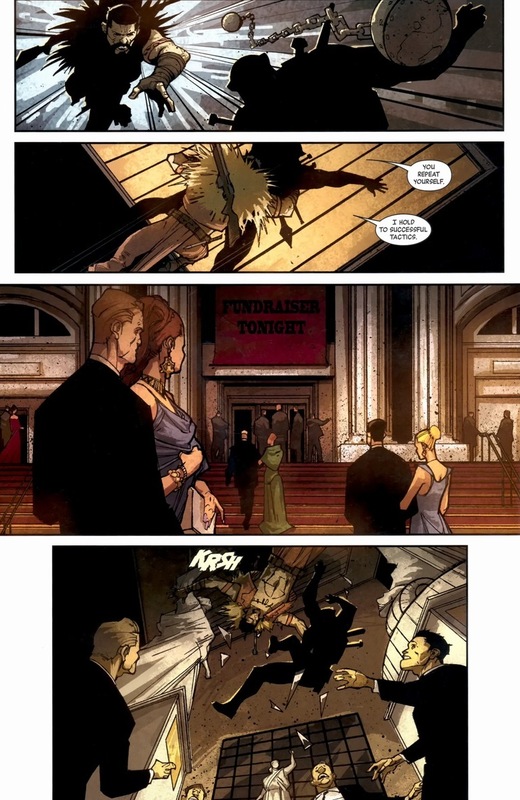 But here, T’Challa scolds his wife for saving his life. Equal parts honor and nagging, I guess. 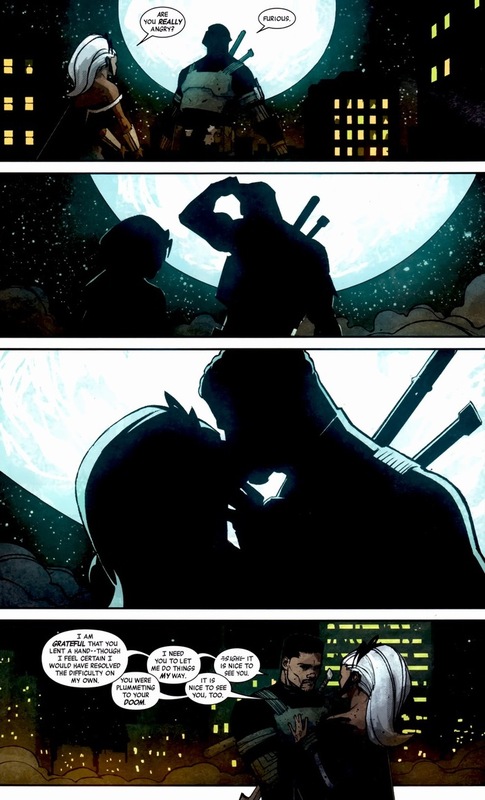 I can’t really tell if Black Panther’s being a jerk to his wife or not. 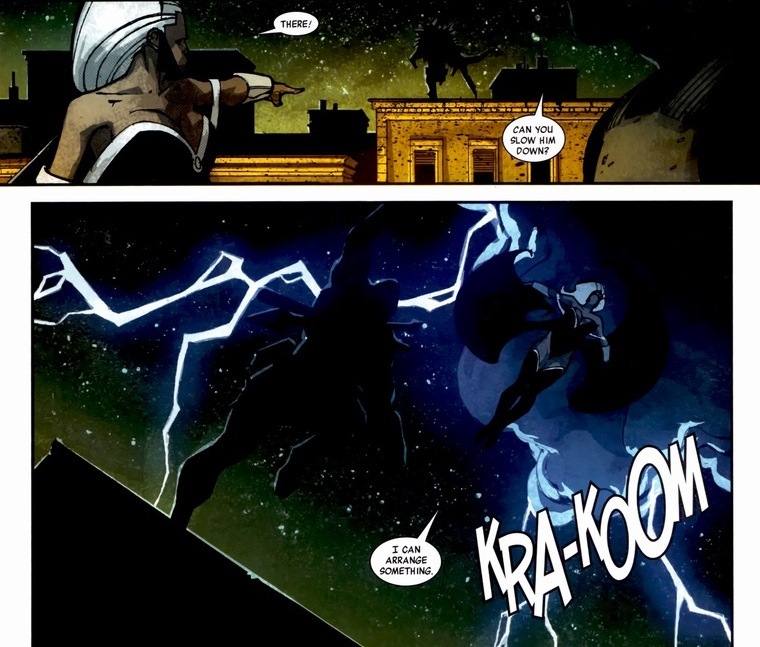 On one hand, Storm is one of the most powerful beings in the Marvel universe and Black Panther totally couldn’t ninja star or billy club out of Kraven’s way. 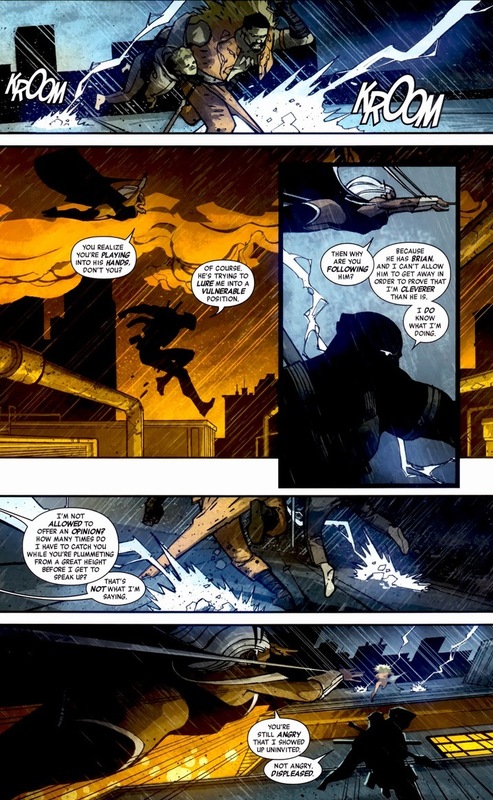 But he did tell Storm to mind her own business and leave him alone, and that he also probably likes her or whatever. Still, when you have a trump card (even one you make out with), use it. 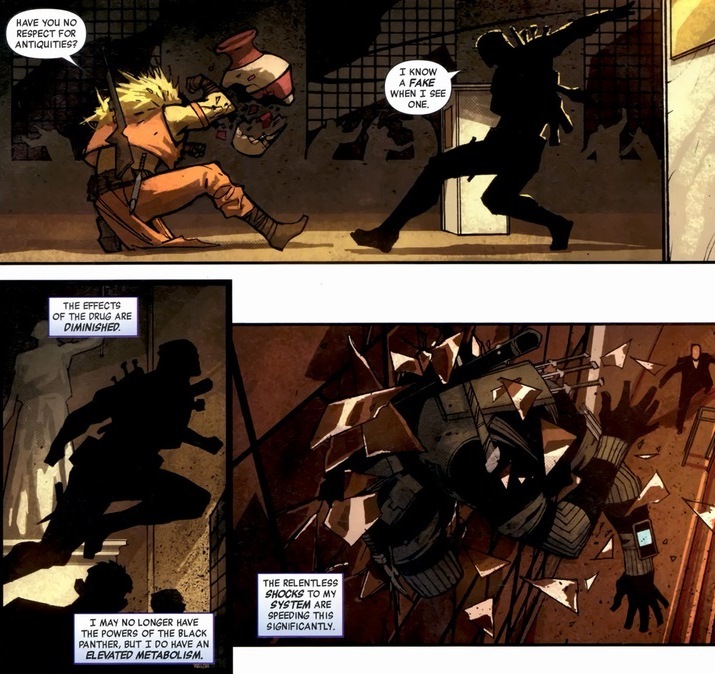 Also, Kraven captured the boy the two of them were looking for. 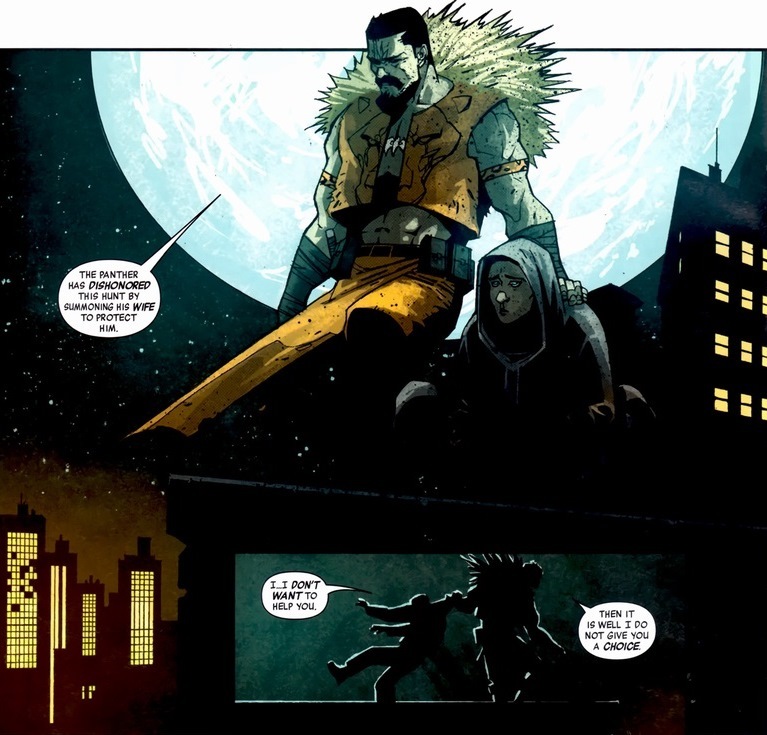 By Kraven’s “revere” of animals, he means chase them down with spears and make vests out of their fur. 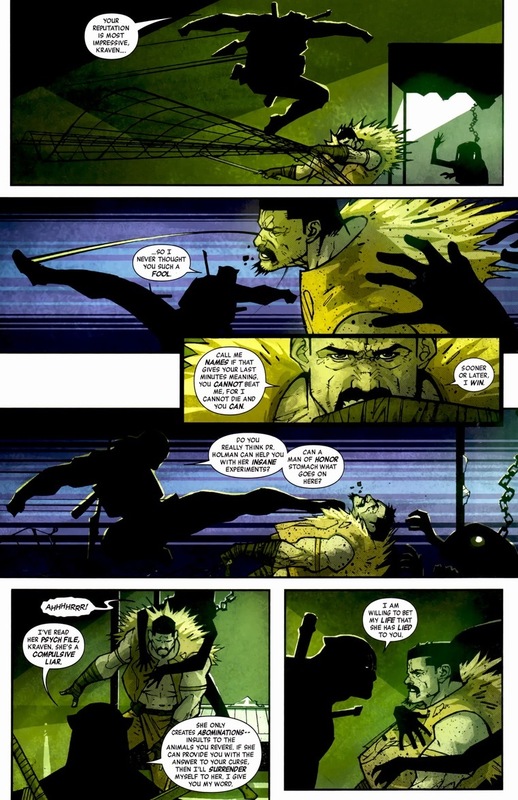 Though despite all of Kraven’s faults (so many), he is a man of honor. A man with a code. One that does not allow him to let sweet innocent giant walking piranhas be imprisoned in secret laboratories. Did that put you in the mood for romance? 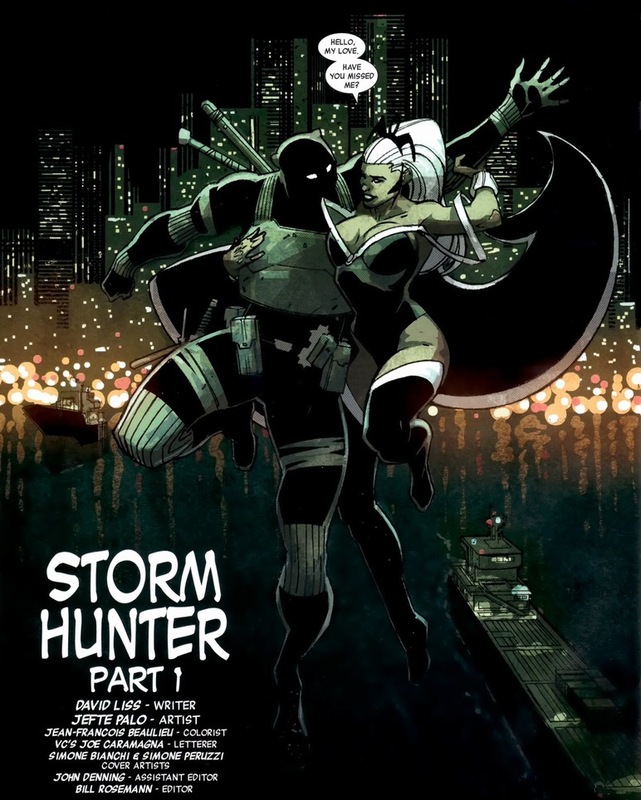 Black Panther and Storm heal their relationship, Kraven sets free the captured animals, and the monkeys get pants! A happy ending for everyone! 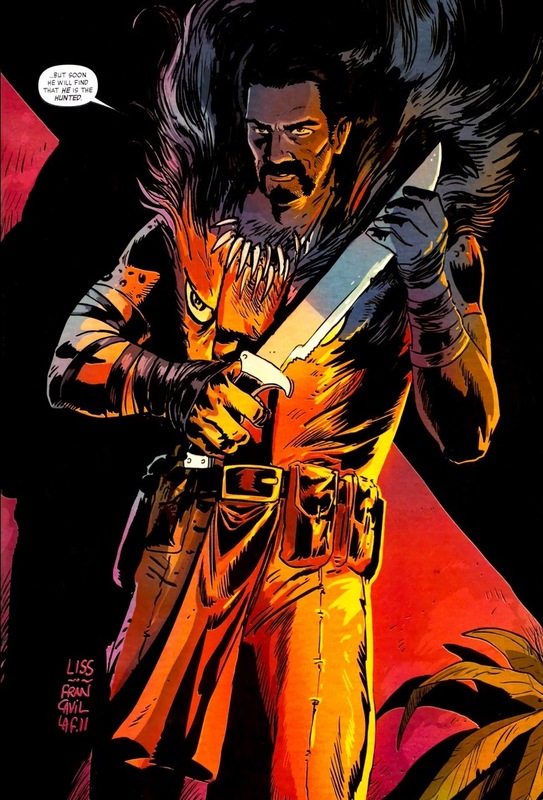 Funny how Kraven whines about T’Challa “dishonoring the hunt” because Ororo intervened, when Kraven resorted to drugging his prey (which he did before with Tigra) and using Vermin to weaken Spider-Man before trying to kill him in “Last Hunt”. Hypocrite.